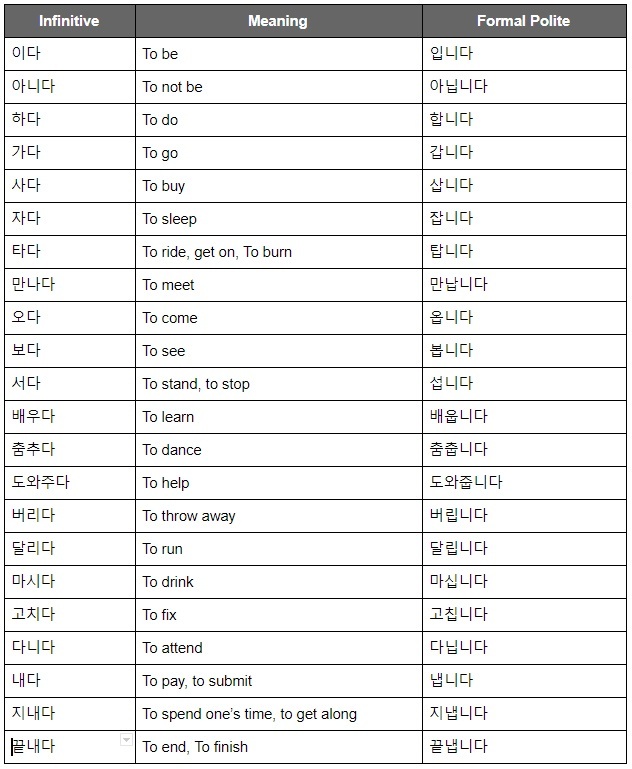 Infinitive form of any verb ends with -다. If the last syllable of the stem has a final consonant (batchim), add -습니다. If the last syllable of the stem does not have a final consonant (batchim), add -ㅂ니다. 4. If the last syllable of the stem has the final consonant ㄹ (ㄹ batchim), omit ㄹ and add -ㅂ니다.